Mickey Washburn graduated from the University of Alabama with a Bachelor of Science in Business Administration while majoring in Accounting. He spent 21 years in working with a non-profit, finance, insurance and investments before entering the education field. In 1998, he started working as a high school mathematics teacher and completed his Masters in Mathematics Education from Georgia State University in 2000. In 2003, he completed his National Board Certification in Adolescent and Young Adult Mathematics and then in 2008 completed his Doctor of Philosophy in Teaching and Learning with a concentration in Mathematics Education. 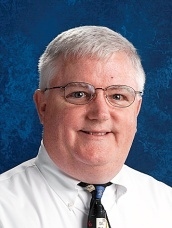 He has been working with the Gwinnett County Public Schools for 21 years and with Walden University in the Richard Riley College of Education and Leadership since November 2008. Schultz, K. A., Washburn, M. N. (2004). A Prototypic Advanced Mathematics Education Program That Connects Communities of Practitioners and Researchers. Proceedings of the Twenty-sixth Annual Meeting, North American Chapter of the International Group for the Psychology of Mathematics Education. Washburn, M. N., Schultz, K. A. (2004). A Prototypic Advanced Mathematics Education Program That Connects Communities of Practitioners and Researchers. North American Chapter of International Association of Psychology of Mathematics Education. Schultz, K. A., Washburn, M. N. (2003). National Board Certification and the Role of Higher Education. Georgia Council of Teachers of Mathematics.